After you have checked on-line that you were selected in the DV lottery and followed the instructions on your winner notification and mailed the required immigration forms back to the US State Department, you will receive a letter by regular mail from the US Department of State Kentucky Consular Center in Williamsburg, Kentucky. The Green Card Lottery interview letter contains the location, date and time of your green card interview and will come by regular mail to your address 4-6 weeks prior to the interview date. Green Card Lottery winners who have sent their duly filled forms along with the required photos are selected and will be called for interview from of October 1. The lower case numbers will be called first and the interviews will continue in ascending case number order until the visa limit has been reached or when the program close date of September 30 is reached, what ever comes first. Before you go to the interview, you must carefully read the instructions on the web site of The United States Consular officer in your home country or any United States of America Embassy nearest to you to ensure that you bring all documents and fees with you so that you meet the requirements. What you should bring with you to the green card interview. You must bring a Police clearance record according to the United States Consular officer in your home country or any United States of America Embassy nearest to you. You must bring the record for the Medical check up as per the United States Consular officer in your home country or any United States of America Embassy nearest to you. 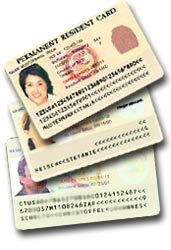 You must be ready to pay three non refundable fees for the Visa and Green Card processing according to the U.S. Government�s Instructions. Immigrant visa application processing fee (Form DS-230) (for each person), US$355.00 or equivalent in local currency. Take note: As these fees may change time to time, make confirmation before you are going to interview. These visa fees should be paid at the embassy and not sent by post, Western Union or any other money services. If you became a parent to a new born baby after sending the forms that you received with your winning notification to the Kentucky Consular Center in Williamsburg and you didn’t receive the interview letter by mail yet, you must take a Photograph of the newborn baby and take a copy of it’s birth certificate and mail them to the Kentucky Consular Center in Williamsburg with your file number. Email your local U.S. embassy and let them know that you just had a baby. If you already got the interview letter, you must bring a photo and birth certificate of the newborn that should be presented to the interviewer on the United States Consular officer in your home country or any United States of America Embassy nearest to you where your interview is taking place. If you want to reschedule your interview you can write an e-mail to U.S. Citizenship and US immigration Services or handover a requesting letter to the United States Consular officer in your home country or any United States of America Embassy nearest to you on a working day. Furthermore, you should be aware that when rescheduling a new interview date other applicants will be interviewed and given Visas in front of you. If there are no visas left the day of your rescheduled interview appointment, due to the U.S. Government reached the 55,000 Visa limit your new interview date will go useless and your interview will be canceled and you lost your chance of getting a green card.